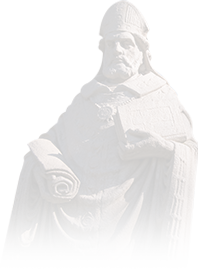 The 2018 Day of Giving counted the donors, not the dollars, and the goal of 250 alumni giving back to St. Ambrose University in 24 hours was easily surpassed. More than 400 Bees gave back. With more than 100 alumni who have never given before, 61 of those new gifts came from Ambrosians who graduated in the past 10 years. "It was different this year, from the get-go, and it was very exciting to watch those gifts come through from graduates of seven different decades. They all gave because of their great memories and the experience they had at St. Ambrose. The campus may have changed, but we are still their St. Ambrose," said Margaret Babbitt, director of annual giving. Donations of $25 or more received a pair of argyle bee socks in appreciation. The department mailed out 462 pairs of socks and another 60 are on back order. "This is our third style of bee socks, and it's a great way for alums to show their pride in SAU. We did not anticipate the response- we've had to reorder!" Babbitt said. Babbitt believes the large response was tied to unrestricted donations. Alumni and supporters could donate directly to what meant the most to them, whether it was sports, an academic program, or a club. Slightly more than 60 percent of gifts were unrestricted, and the rest went to 46 restricted designations. The fifth Day of Giving moved swiftly. The goal was reached in the late afternoon and the numbers continued to rise from 300, 350, and finally to 400 donors. Babbitt says the goal for next year will be #500Bees2Day. Yes, the 2018 SAU Day of Giving was about donors, not dollars. "They all gave because of their great memories and the experience they had at St. Ambrose. The campus may have changed, but we are still their St. Ambrose," said Margaret Babbitt, director of annual giving. Watch this video and see what they had to say about SAU. 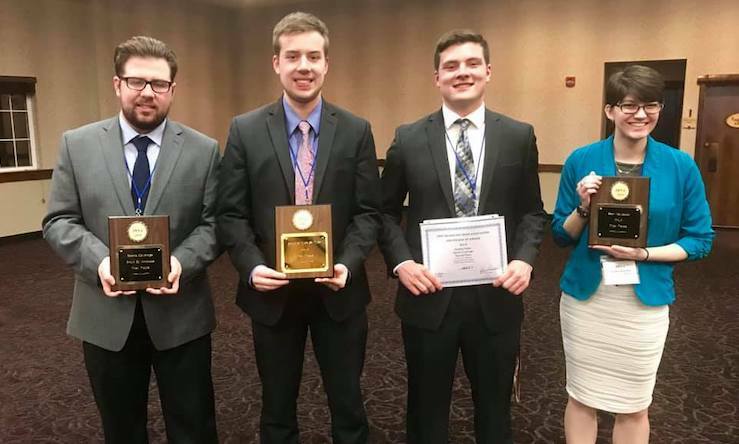 The SAU radio and tv stations took home several awards, including first place for Sports Play-by-Play, for broadcasts made in 2018. Marketing students help market Bix on digital platforms.